If you can no longer keep an animal, there are solutions - and abandonment should never be one of them. Six 1-week-old kittens left in the middle of the train tracks were found by a passerby in Kifisia, a suburb of Athens, Greece. 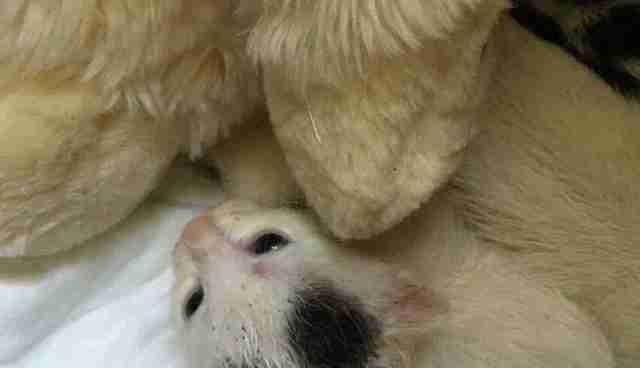 The poor kittens were covered in fleas, malnourished and dehydrated. If they hadn't been found exactly when they were, they might not have made it. Evee Georgiadis's daughter saw a post about the kittens, and she and her mom decided they had to help. "The woman was desperate for foster care as she was unfamiliar with raising kittens," Georgiadis told The Dodo. "We immediately contacted the lady since we have much experience raising newborns. Our first cat was thrown in the trash at 24 hours old with his umbilical cord still hanging." 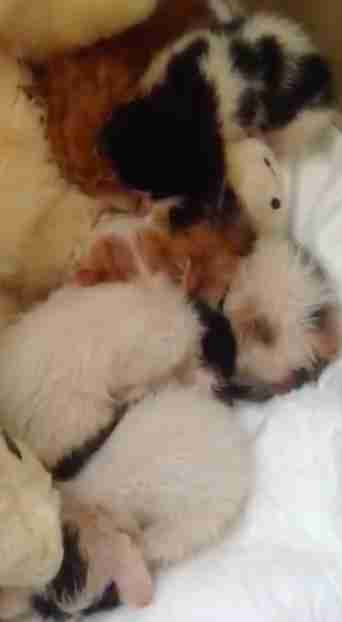 The two women went to pick up the kittens, who wreaked of urine and feces and were barely holding on. They took them home and got them bathed, treated and fed, and were amazed at how much healthier they seemed within only a matter of hours. 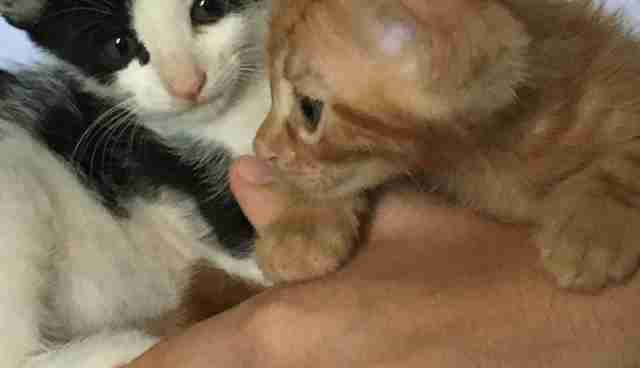 "They were already looking like completely different kittens and they definitely smelled like different kittens," Georgiadis said. As the weeks past, the kittens became stronger and stronger. They had to be fed eight times a day, and began developing little personalities of their own. There were two girls and four boys, and the women named them Pumpkin, Vee, Macchiato, Houdini, Pandora and Molly. Unfortunately, Macchiato fell very ill recently and ended up not making it, much to the heartbreak of his rescuers. Now, the other five kittens are around a month and a half old and thriving. The kittens who barely made it past their first week are finally ready to find their forever homes. 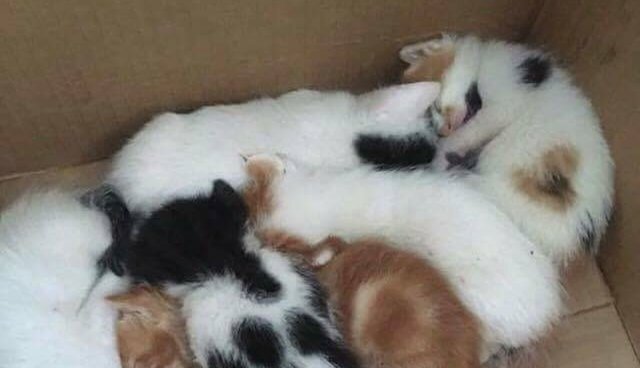 If you live in Greece and would be interested in adopting one of the kittens, you can contact Evee Georgiadis at 6932210606.